To capture Valentina Brave’s voice and music is to hitch a ride in Persephone’s Ute, having burned across the darkest night of the soul, picked up by the Virgin Mary herself to ride shotgun, with Betty Davis on the bonnet. An artist worth witnessing, Brave recently shared the stage with global luminaries Michael Franti, Jackson Browne and Juanes at Byron Bay Blues and Roots Festival when Franti invited her to perform for his main stage closing set. With overwhelming response, it was a landmark moment in the evolution of powerhouse vocalist, improviser and world class artist. Unapologetic and unforgiving, this vintage rock bomb, reminiscent of a 70’s Betty Davis style anthem, is a heavy soul war-cry against the status quo. 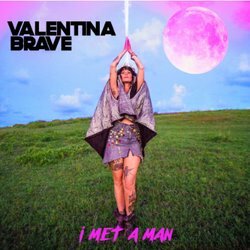 Valentina Brave holds nothing back on a full force performance where her epic voice wails a warning to ‘the man’ that ‘you can only wash yourself clean as your darkest sin’.